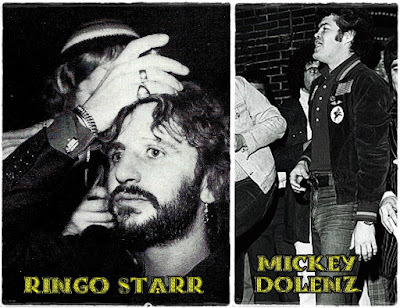 the club was myself, Keith Moon, Ringo, Micky Dolenz, Harry Nilsson, it was that crowd, every night those same people. 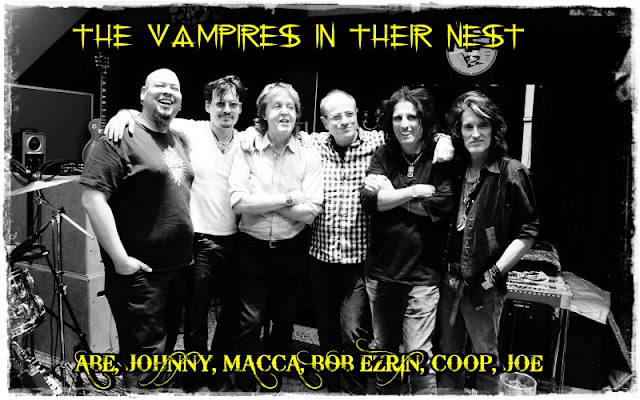 Every once in a while John Lennon would come into town or Keith Emerson and they would be honorable members of the night. 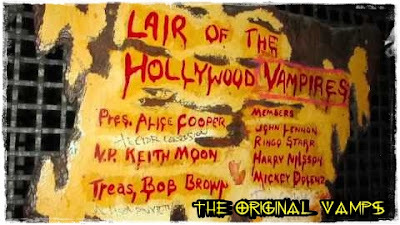 They still have a plaque there at the Rainbow, where it says 'The Lair of the Hollywood Vampires." 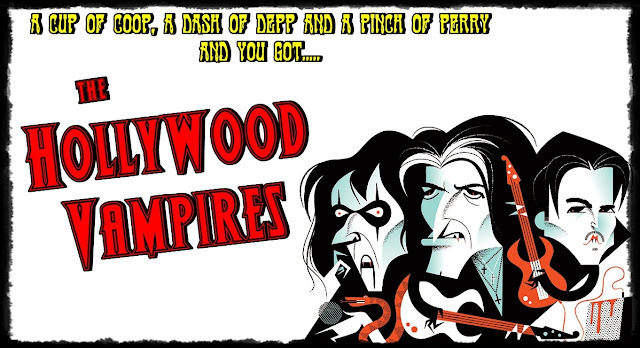 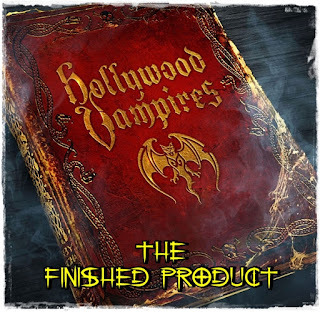 Then came 2015, and Alice decided to do a homage to "all his dead drunk friends" The Hollywood Vampires was formed . . 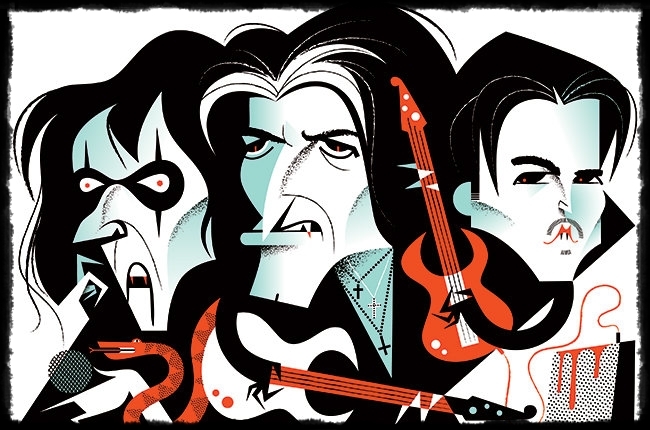 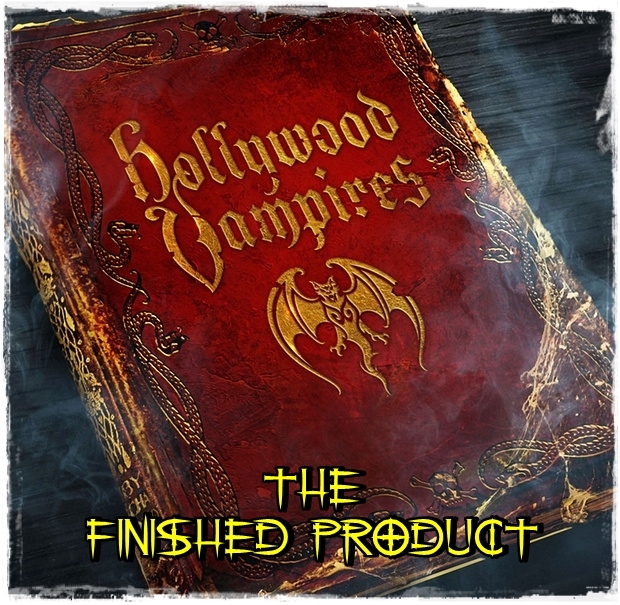 The Hollywood Vampires released their debut studio album on September 11, 2015, as a tribute to the music of the original club members of the '70s. 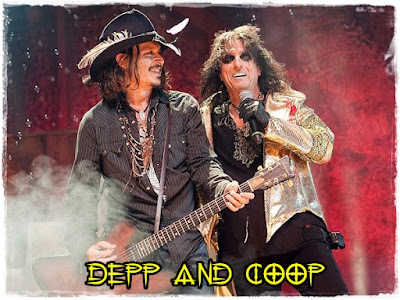 The album features appearances by Sir Paul Macca, Robby Krieger, Dave Grohl, Slash, Brian Johnson, Perry Farrell, and Zak Starkey amongst others, and is composed 98% of covers from the '70s with the exception of two new tracks written by Cooper and Depp titled "My Dead Drunk Friends"and "Raise the Dead". Also included is a voice-over titled "The Last Vampire" voiced by Christopher Lee. Being recorded shortly before his death, this marks Lee's final appearance on a musical record. 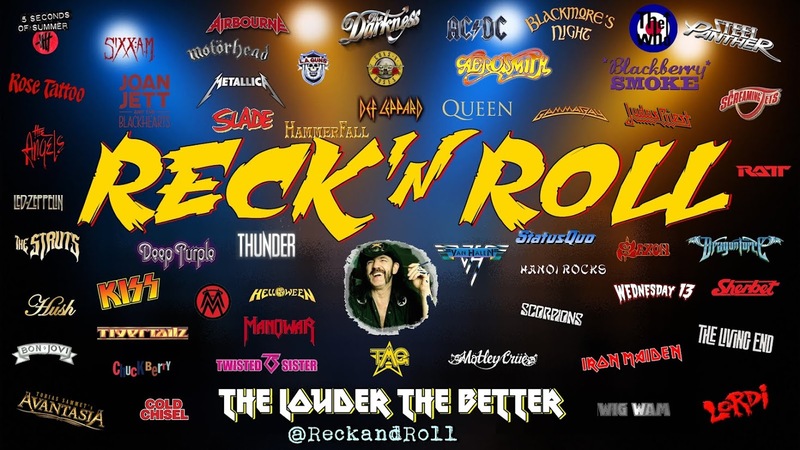 Their debut performance was held at the Roxy Theatre in Los Angeles on September 16 and 17 of the same year, they then went on to play a slot at Rock in Rio and what a sterling job the boys did with Gunners Duff McKagan and Matt Sorum laying down the beat for the Vamps to do their thing.